Somebody told me a long time ago to ask the spirit for a blessing because an evil spirit can't give blessings. Your mileage may vary. From a Christan standpoint it says in the bible that one day every knee shall bow and every tongue shall declare him Lord, so I dont see how that cant still apply. Though in the bible even devils will declare Jesus the son of God so food for thought. Maybe Miss cat will give us more insight. I recite the "Our Father" and throw Holy Water at them. I don't care what Nationality or Religion they were in life, those 2 things are extremely REPULSIVE to an evil entity. If you are not Christian, than recite whatever is Holy in your Religion. I'd still recommend throwing Holy Water at them. Works every time for me!! I would advise yoga, it helps with energy control. You might also try ancestor work, to connect with your own ancestral spirits and have them on your side. Having strong spirits working with you when you're working with other, "stranger" spirits helps prevent you from pouring out your own energies. Hope this helps! I'm not sure where else to post this, but I'm hoping to get a bit of insight. My rootworker has suggested that I invoke the help of the late Dr. E, and that his presence would be highly beneficial to my situation. I've never asked for help from spirits or saints, what's the best way to go about doing that? If I get his picture to put on a vigil candle, what kind of candle should it be? How should I ask him for his help and influence? I would prefer that you ask your rootworker these questions. Then, ask for their assistance daily. They will eventually start to show themselves. I can barely get myself to perform spells against a certain person, such is its protection. Feels like such a great effort, like there's actual weight thrown against me. Like I am pushing an elephant with my bare hands. And divination has pointed out that it is due to protective spirits blocking my every effort. So. I was reading up on spirit traps. 1) Can those be used as a manner of getting rid of/weakening a spirit that has been protecting someone who I am aiming my spells at? 2) And if yes, how does one get the spirit inside the trap, working from a distance? Prayers? Arbitrary invitation? 3) If the spirit trap is not fitting for such usage - an believe me, trying to reason with and sweetening the spirit was to no avail - how should I proceed? Have you tried scrolling up through this thread and reading through the other posts? There is a lot of good information to start with. Yes, I have looked into the previous posts of this thread, under Miss Aida's recommendation. Thank you, Sister Jean. And I'll get the black folder along with the other required purchases to apply to Miss Cat's course, I surely wouldn't avoid it. 4) But overall...can spirit traps be used in the described manner? 5) If yes, how does one accomplish getting a spirit into it? 6) If no, how could the situation be handled instead? 1) A trap traps the spirit. It does not weaken it. You can then dispose of the spirit. Think of it as being alike a live-trap for an animal. The trap containing the spirit is generally disposed of by sequestration or distance-removal. 2) One lures it in. Prayers are not usually the method used. An offering followed by some form of physical closure is a technique found in many cultural traditions of folk magic. I do not know what you mean by "arbitrary invitation," so i cannot reply to that. 3) Try a spirit trap. The book cited will be of help. 5) One lures it in. See (2) above. 6) But the answer is Yes. Ok. Thank you, Miss Cat. Please forgive the wrong placement of ideas there, when I insinuated "weakening" instead of restraining, and for the misusage of terms with the "arbitrary invitation", which led to some uncertainty. I meant a plain invitation to the spirit to enter the trap. And also, I am sorry about being in the wrong trend. This is a mistake I usually wouldn't make. I arrived here by suggestion of the moderation, when I had shown interest in spirit traps on a different trend, and asked for further source of reading material. Anyhow. I understand. I'll look into it and purchase the book. Thank you again, Miss Cat. No problem, asturias ... it's a big forum and there are many threads. I'd like to know what spirit can I possibly call on to bring my kid's father back to me and send his current girlfriend away from him forever. I broke them up before with black figure candles and at that time I called upon my ancestors to assist and the job was done. But I want to work with spirits this time. I thought about the Intranquil Spirit. But we have kids together. I want a spirit that isn't hard to work with. 1) Which spirit can I use to assist me? 2) How would I possibly call on it and what do I say? 3) Do I use products that are specifically for that spirit or can I use other products and just call on the spirit? I have seen pages and pages of success stories with St Martha. Great advice, Miss Aida! Thanks. A friend pointed out to me that, if I light a white candle in my home, in honor of "the spirits of the house," it can help bring peace, particularly when neighbors are being loud. Thankfully, it has worked very well. So now, when people outside play loud music or something, I light a candle in honor of the spirits of my home and ask the spirits to please make the ruckus stop.... and it stops. 1) how do I pay the spirits when they help? Ive asked what they want but do not see the answer. 2) i am guessing these "house spirits" like to be honored since I light the candle in their honor each time I ask them to quiet the noise. How else can I honor these spirits, besides lighting candles? Just to name a few: A fresh glass of water, white flowers, candy, etc. By the way, that is good to know for all of us!! Thank you. Yes, I give them water. Haven't tried candy but love the idea. Are these things that can be done IN LIEU of candles? I worry about having open flames sometimes. Safety First! If you're that worried about lighting candles, you could just put out the candy, water, etc. But if you're going to be at home to supervise the candle, why not light one? I have a question regarding how to communicate with a spirit i have in my room. It's a graveyard dirt i collected and the spirit happily agreed to help me. I was adviced to set up an altar which I did. I offer cup of water and change it everyday. sometimes i offer sweets. Pardon me, coming to my question. How can i effectively communicate with her, given that i am not an experienced practitioner like you guys? Shall i get a pendulum or a deck of tarot cards? I believe she is a lovely person. I would really like to talk to her and send her messages that i want her to deliver to the person we r working with. I was suggest starting by scrolling up through the four pages of this thread and read the other posts. I think you'll find them very informative! If you have other questions after that, feel free to let us know. These type of questions make me very nervous. One of my client's children was taking to a "Very KIND "ANGEL" " (I believe it had even displayed wings) and was instructed by someone else (She didn't speak to e on the issue as I was not immediately available) to feed it ad give it water, etc. When the story finally got to me, based on what the dialogues had been, it was more than obvious that the entity was demonic. It took a lot to get that thing out of her house. AND it was on the verge of bringing in more demonic entities!!! And, then discussing this with an EXPERIENCED AIRR member before doing anything. I just don't trust any entity unless I know EXACTLY what I am dealing with. And I NEVER invite any entity in my home unless I am 10000000% sure that I know what it is. 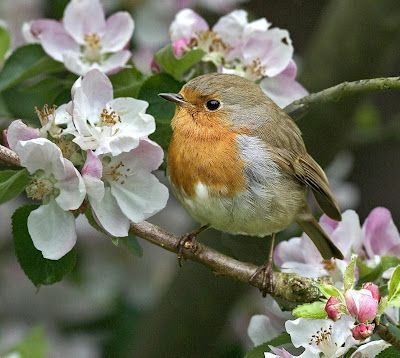 On the may 1st 2016 Lucky Mojo Hoodoo Rootwork Hour, Miss Cat advices one of the callers, based on some divination she was getting, to make offerings and begin a spiritual connection with a local spirit. Namely, a river spirit, that was located nearby the premisses of where the consultant wanted to open a healthcare facility, if I'm not mistaken, and it was an Ace of Cups that had shown up in the reading. What is the precedent for this in hoodoo? is there somewhere I can read more about this? I found it so touching as she mentioned the Grace of Baptism. I could identify some of the spiritual foundation to this - as in John 3:3-8. Quite beautiful indeed -, but I would like to know precisely how to approach this river spirit by means of the hoodoo spiritual practice. What type of offering would be suitable for a river spirit in the hoodoo tradition? I was thinking, maybe honey. Spirits in general do like sweets, right? I would like to know what is traditional, though. And also, are there any articles - herbs, oils - carried by LM that would be fit for this, or to assist me in this work? And not all Spirits like sweets. So, that is not true. If you are going to the river, wear Psychic Vision oil and try to make some sort of contact. That would be the first step. Martin Coleman's "Communing with the spirits"? I have read it, ma'am. It foccuses on necromancy, though. Would this be the case here? Anyhow. Thank you, Miss Aida. Perhaps I'll get in touch with Cat by means of paid consultation and ask her myself, then. You know, I am going to be perfectly frank here: I have no idea where water spirits come from or if they are deceased people, etc. You are right: your best bet would be to ask Miss cat because I am at a loss here. I was doing graveyard work today and i was looking for a good spirit to do my bidding spirit of a man told me that he was a trickster spirit what does he mean by that ? should i avoid him at all cost ? If he is a trickster spirit, you really can't trust anything he says. Turn around, walk away, and do not look back. You already said in your post that you don't trust him, so follow that gut feeling. Don't work with him. My main goal with it (and I'm almost done considering the entire picture, yay!) is to honor it and occasionally petition the river. Part of my additions to the bottle will be river water. My plan is to go to the river and request its aid, much the way you would when you collect specific graveyard dirt. As a part of that, I will likely offer three dimes, some tobacco ( which I often offer when I take something from the land around me), and sweetgrass. These herbs are all things that are considered sacred in the area that I am located in. I would consider your surroundings and the practices of the people that live close to the body of water you are interested in to help you determine what would be the best offering for the river you are interested in. Please keep us posted on your rituals and progress. This is what I love about this forum. We all learn from each other. And, right now, I am learning from you! I will, Miss Aida. Thanks! I have recently been told of a spell which consists in hiring a spirit from the graveyard to assist you. It was referred to me as "buying the spirit". It says one is supposed to buy a certain amount of graveyard dirt from a certain grave, and mix it with sulphur and salt. I. to what purpose the salt and sulphur would serve in this context? Is it to enhance protective purposes? I was also given to understand that it was mixed with the dirt to keep the spirit strong. Would that be the case? If so, it leads me to my second question. II. isn't salt considered to be aggressive to spirits in general? Many people in this forum refer to Martin Coleman's necromancy manual "communing with the spirits", even when it comes to getting in details about their own personal spiritual practice, and it clearly states that salt prevents spirits from being able to feed. Even in a hoodoo context, I was told one must never place salt in their ancestor altar or offer it to them, as it could be potentially harmful and offensive to the spirit. Is that a valid concept within the hoodoo tradition, that salt and spirits don't mix? if so, to what purpose would it serve to mix the graveyard dirt with sulphur and salt? III. Could I alternatively mix the graveyard dirt with althaea and angelica? 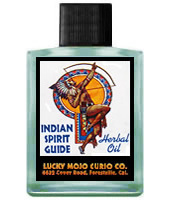 this is a mixture that has both protective purposes and of enhancing positive spiritual contact. Please let me know! I don't enjoy "winging it" - as it could be the case if I decided to use the aforementioned mixture of herbs instead of what was originally recommended - but I prefer to understand these traditional practices before attempting them, particularly when they seem to be conflictant with established concepts of spiritual practice. But perhaps I am not seeing whole picture here. Please enlighten me. Thank you so much for sharing your experience! so interesting that have this in common! I apologise for the delay, and do so hope that you read this, eventually. As it turns out, a short time after posting that question I came across just how to approach this subject from the perspective of a spiritual tradition I'm connected to - namely romnjasa, gipsy witchcraft. I've learned how the spirit is given offerings and just what it is petitioned for. It reads, from the editor's notes: "(...) dirt from where the river sand meets the clay bank (see below) to run off or blind enemies". Furthermore, I would love to know more of how you've been putting that bottle together. Seems fascinating. Such a pitty that we don't have the private message resource anymore, we have so much to discuss. Again, thank you for repplying! 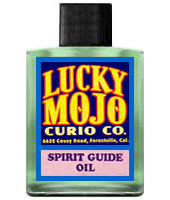 Please keep in mind that this forum is to help Lucky Mojo clients with their Lucky Mojo products. Yes, I do understand. I am sorry if it offended forum policy somehow and Lord knows I am grateful for your consideration in answering to my questions. What I simply meant to ask was: can graveyard dirt be mixed with salt, when using it in spells? That is the instrucion in several spells, and that always left me stunned because I was taught that spirits of the dead cannot be associated with salt. Disconsidering the "paying for the dirt" bit, and this very spell, for that matter, there are other protective spells that call for mixing graveyard dirt and salt - both carried by LM, if I am not mistaken. So my question remains. Are they ok to mix? Please enlighten me. I do understand it, now. I apologise for the faux pas. It is just that I have seen dozens of references to mixing graveyard dirt with sulphur and salt, in Hyatt, and since I know that the interviewed parts did not always knew what they were talking about. I meant to ask if that was actually valid from the tradition's point of view, particularly since it seemed to contradict something that was outlined to me as a fundamental value when dealing with the spirits - namely, that spirits dislike salt. But I do so appreciate the enlightenment. I'll learn from my mistakes and use the forum wisely. I have read a lot of the Hyatt Informants' spells and some do utilize these ingredients for malice. But for buying a Spirit? I don't know. You said (and I quote you): ".. is just that I have seen dozens of references to mixing graveyard dirt with sulphur and salt, in Hyatt, and since I know that the interviewed parts did not always knew what they were talking about..."
The Hyatt Informants are THE experts and know EXACTLY what they are talking about. I only wish that I had been around in those days to talk to them myself. They are the world's foremost experts. And they know EXACTLY what they are talking about. There are over 1,600 Hoodoo Informants in the Hyatt interviews. I am deeply sorry for the misunderstanding! III. And even some that had some vague ideas but did not know exactly what they were talking about (which would make sense, since there were thousands of interviews). Personally, I think Hyatt is great and would gladly take all the information collected on his work as golden rule. But upon those observations from people who have been at it for longer than I have, who have studied Hyatt and folk magic for several years, whenever I see something that seems to contradict whatever I had personally as a established concept - such as "spirits and salt don't mix" - from what I have learned from you or from works that you make frequent reference to - such as "communing with the spirits" - I turn to you, lovely hoodoo professionals, who know the spiritual work and have been at it for far longer than I have, so that my doubt may be enlightened. If any of these considerations seem inacurrate I may refer to text from Miss Cat which has led me to such impression. If I misunderstood any of that, I am sorry. I will gladly hear and pay attention to what you, the kind people who have been teaching me - whether by direct consultation or by written work - have to say about these matters, as I do for everything else. 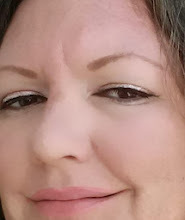 So sorry sorry sorry, I am deeply sorry, mea culpa if I am wrong at this or if I wasn't clear enough as to what I meant to say and offended someone in my prior posts. Furthermore, I love hoodoo very deeply and it pains me a little that one would suggest that I don't belong in a place where it is being discussed and taught. I try my best, Miss Aida, my very best. But it's all good, I'll try not to take it personally. I am also a bit disappointed at myself to learn that my english is so clearly that of a foreigner. But hey. I can't be too hard on myself, I've never even lived in an english-speaking country. I hope it is abundantly evident now that I respect Hyatt, that I try really hard at understanding it, to the very best of my ability, and that, well, I overall do my very best at studying hoodoo. I am not an author, I am not an influencer. I am a private worker, but it still means the world to me. If I am wrong I want to know, that is precisely why I am here asking these questions and placing myself constantly at the mercy of your wisdom and criteria. P.s. that "buying the spirit" trick I came here to ask about was taken from Hyatt. There are several others. I am typing from my phone, right now, but I may refer to these entries later on, if you wish. I know a person online who wrote (and teaches) that the 1,600 African American men and women whom Rev. Harry Hyatt interviewed -- many of them professional root doctors in their 50, 60s, 70s, and 80s -- were "drunk" or "lying" ... and i know that there are people who believe her. They choose to believe a pseudonymous person on the internet over the words and testimonies of 1,600 black root doctors in 13 different states who shared 13,458 separate magic spells from 1936 - 1970, a period of 34 years. They go on and on about "Hyatt" this and "Hyatt" that, as if that was our only source of knowledge about root work, and by discrediting "Hyatt," they can fill the void they have created. But great though the Hyatt collection is, students of hoodoo do not need to limit themselves to only those people whom Harry Hyatt interviewed, and they can find confirmations, parallels, variants, and even contradictions to the spells he collected in many other primary sources. As for me, in addition to coming up under teachers like Matthew Murray, Leroy "Hurkey" Thomas, Fred Staten, and West Leland, i also follow the written tradition that includes the 50 workers interviewed by Alice Bacon and Leonora Herron, the 400 people interviewed by Newbell Niles Puckett, the 1,600 people interviewed by Harry M. Hyatt, the 50 people interviewed by Zora Neale Hurston, the 20 workers interviewed by Jim Haskins, the many short interviews collected in the Ex-Slave narratives by the US government, and the accounts of hoodoo published during the 19th and 20th centuries that can be found within autobiographical memoirs. Yes, i will choose 2,000-plus people interviewed between 1865 and 1995 over some power-seeking internet expert. There are dozens of hoodoo spells given by professional root doctors in which salt is mixed with graveyard dirt. And i am telling you, flat out and for real, that person on the internet was never one of those professional African American workers. As for the statement that "spirits and salt don't mix," that is some sort of rule-making. In my experience, if folks are telling you about what is "forbidden," they probably have a religious or cultural agenda that is rule-based. They may be sincere! Ask them why they say that and what religion they follow. Ask them who taught them that. Ask them what culture they come from. I am not saying they are "wrong" -- because there are hundreds of religious, cultural, and individual, personal beliefs about magic -- and it is not imperative that their beliefs accord with the majority tradition of hoodoo, nor is it imperative that all hoodoo workers work according to such rules. Those words mean something, Astruias. FOLK arts are the work of PEOPLE taken as a whole, not of "leaders." Look at it this way: Not everyone sings the same verses to the song "Stagolee" -- or even spells the song's title the same (some write it as "Stagger Lee," some as "Stag-O-Lee") --- but no student or practitioner of folk song would be dumb enough to go online and say, "It was a ten dollar Stetson hat, a weak but sickly wife, and two little children ... and don't you DARE sing, 'a five dollar John B. hat, a weakly loving wife, and three little children' because anybody who sings that is DRUNK and LYING." See, you got hung up on the MAGIC part, but you forgot the FOLK part. Lots of leader and guru types forget about the FOLK part, and their followers also have done so. Idiosyncratic rule making is a way for leaders to seize control of a knowledge base, to be the "One," the gateway, the teacher. Memorizing a leader's rules is a way for followers to feel secure in their work, to avoid contact with the folk community, and to progress in their studies without experimentation, comparison, or mistakes. However, it is my belief that phrases like "use only this product," "use only as directed," "none genuine without this signature," and "accept no substitutes" come from the world of commercial, mercantile competition -- and since that kind of thinking is not used when distributing folk songs, why should it be used when distributing folk magic? The thing is, in order to make hard and fast rules for their followers, the gurus have to discredit the PEOPLE, the FOLK -- for instance, by calling them drunk and foolish. 'Cause, maybe, if they speak loudly and fiercely enough on the internet, and call the old-time, down-home spells "the Hyatt Material" instead of using the informants' REAL NAMES -- their REAL NAMES, like John Bidgood, Frank Hall, Myrtle Collins, Jerry Williams, John A. Douglas, Laura Mills, Purnell Dennis, Delia Dennis, Gladys White, Melvin White, Walter J. Maddox, Joshua Wilson, Joe Dorman, Mary Williams, Benjamin Gavin, Carrie Gavin, Edward Bufford, Eugene Love, Samuel Nelson, E. W. Lindsay, Paul Bowles, George Larkin, Mary L. Griffin, William Scott, Arthur C. Foster, Mack Berryhill, Henry L. Timmons, and on and on and on! --- then they can be a big old Expert and displace the contributions of folk practitioners, and make rules for you to follow. Sulphur (Brimstone) is a highly inflammable infernal substance and it is an ingredient in gunpowder. Therefore it may be used to add explosive or aggressive qualities to mixtures of an infernal nature. It is also a skin salve and a fungicide, so in that way it is protective. Salt "does what you tell it." It is a natural preservative. It can be used protectively or aggressively. Ancestor altars are not a widespread tradition in hoodoo, so this information seems to be coming from an African or Afro-Caribbean religious viewpoint and i have no comment about that except to note that such beliefs will vary from religion to religion, and although ancestor veneration in a cryptic form is found in hoodoo, it was never considered a specific term of use in the tradition until the seeking of hoodoo Afro-Caribbean religious practitioners began. If you do not believe me, and you may chose not to, read the 6,000-plus pages of the books of interviews collected by the authors cited above. I see no reason to mess with an old spell that instructs you to mix sulphur and salt with graveyard dirt. The herbal ingredients you named -- Althaea and Angelica -- are of European tradition and such herbology is certainly part of hoodoo, but you have a perfectly fine African American spell there, all minerals, and quite well known. Sure, go ahead and sing about "a Paris chapeau, a consumptive common-law companion, and two frozen embryos" -- but you are drifting pretty far away from the song i know, and i may not be able to sing along with you. By the way, i have written two flyers that consist of an introduction to Harry Hyatt's life and work as a folklorist and a logical defense of the people whom he interviewed against accusations in a published book in which their contributions to folk magic were said to be for the most part worthless. These are currently available as flyers for free from the Lucky Mojo Curio Co. if you place an order and request them. Just ask for "Voices of Hyatt" and "How Can we Remember" -- those are the names of the flyers. They will be reprinted in full in The Red Folder in 2019. To sum it up? I was told to read from Hyatt with a grain of salt. I thought to myself that when a doubt came up I could enlighten it through your generous assistance, and that of your associates. It was a honest mistake. I apologise. I will learn from it. Furthermore, I have never heard Hyatt's informants being referred to as "drunk or lying", nor did I form this notion of caution based upon a former airr member. I have seen a coment by Miss Michaele on her personal blog - which I will gladly refer to you through facebook's private message, if you'll allow it (as soon as I can find it. Lord) - that one of the informants on a certain subject seemed a bit vague or inconsistent, and that it sometimes happened. Other than that, there was your comment here in the forum - and in one of the pages about Hyatt - that one should be very careful when conducting an interview, in order not to taint the collected information with one's own preconceptions. You said that were isolated occasions in which Hyatt did just that. In knowledge of these remarks, I thought to myself that I would consult with professionals when there were any doubts regarding Hyatt, anything that seemed out of place or that I did not quite understand. In fact, I do the very same thing with what I read from southern-spirits or any other material that to me would seem slightly obscure. As to questioning Hyatt, this is the first occasion in which it happened to me personally- and I have been reading it for a while, now - and it was caused by an error which you now have ellucidated. What I have in fact learned from an a former airr member was that salt and spirits do not mix. But not just from that former associate this sort of affirmation comes from. Moderators often refer to "communing spirits," in this forum , as a further reading on spirit work, and it clearly states that salt hinders spirits from feeding. It is abundantly clear now, after your generous clarification and further lesson in folk magic, that graveyard dirt and salt can be mixed, and that there is no such rule to prohibit it within the hoodo tradition. Thank you for repplying to me in such length. I look up to you and that I am trying my best to learn, here. Please pardon my mistake. I admire your instruction and repertoire as well as your logical ordainment. And you're ever so gracious in your willingness to teach. I am very grateful, Miss Cat! If you were "told to read from Hyatt with grain of salt," ask the one who told you that -- WHY? Yes, Harry Hyatt sometimes asked leading questions or heard things incorrectly -- but he admitted it in print, often in the published interview transcriptions themselves. The fact that he was honest about his errors means a lot, and his honesty seems to have been taken very incorrectly by some people. Also, it is true that some of the people Harry Hyatt interviewed knew more, had more professional experience, were older, or were better thinkers or speakers than others. Some were unclear or became distracted and repeated themselves or made mistakes while describing an action. Some interviews went more seamlessly than others -- my God, he interviewed 1,600 people! That's life. If you read all five volumes of "Hoodoo - Conjure - Witchcraft - Rootwork," plus both editions of "Folk-Lore from Adams County Illinois" (which are different in content) and the all other books i mentioned, and the material archived at Southern Spirits, you will have a good sense of the variety available and be able to make your own decisions on who you find reliable. For instance, i personally am very attuned to the workers Myrtle Collins, Mary L. Griffin, "Informant 1520," Madame Wiley, and all of the members of the extended Gavin / Dennis family. Again, as to Martin Coleman's book, "Communing with Spirits" -- yes, it refers to spirits feeding at altars. Very nice. But that is not something often done in conjure. It is a religious tradition. It is not folk magic. Magic in general is domestic and distributive, while religion in general is ecclesiastical and hierarchical. Family members and neighbors share magic. Clerics and gurus administer religion. After some extensive searching I hope this is the best area to post my question. Is it safe to cast spells and summon spirits with small children in the home (while sleeping). If it is safe, are there any rituals or protection procedures that should be done prior to and or after I have done so. My worry is that the spirits my approach the children and other motherly worries. This is a good question, and the right place to ask it. My reply is that unless the spirits are ancestors or good spirits, i would not do this while the children were sleeping in the house. If it was imperative to do so, i would first summon a helpful and protective ancestor to watch on the children during your work -- a sort of "baby-sitter spirit," as it were -- and i would pay that spirit for the work done, as arranged with the spirit. When doing the above described procedure, could you give some suggestions on how one may extend the influence of the protective ancestral to the house? Will merely lighting a candle in the ancestor altar do? I have the feeling that one would suggest something physical to go along with that deal, something to be used directly into the house. Could I take some dirt from their grave, mix it with salt and sulphur and place it at the four courners of the children's bedrooms, for instance? and also a great lesson on how to understand folk magic. It was very enlightening, I spent a long time ruminating over each comment. But I notice you say "pay the spirit afterwards", so I'm guessing you didn't mean that bit with the graveyard dirt, since it is suppose to be paid in advance. Please let me know what your further suggestions would be, then. I don't know if there was something inherently wrong with my previous question or if it was the way I put it. Either way, I might as well try to rephrase it. i'll apologise if there was any faux pas to it. I would like to put my home under the protection of a particularly strong ancestor. This turns out to be precisely what MIss Cat suggested in her latest repply to this thread, to a different inquirer. I would please like to know just how to accomplish that. Would it be fitting to take dirt from my ancestor's grave, mix it with salt and sulphur (as it is seen recurrently as a protection mix, even being something Miss Catherine and I have discussed in this very thread, months ago) and place it in the four courners of my home, or in the four courners of a particularly important room? If not, please enlighten me, what should I do to extend the protection of my ancestor physically, to my home? I mean, I do have an ancestor altar. I might have got it wrong, but that doesn't seem to be exactly what was implied here. Please let me know. This is quite important for me. P.S. : I have misinterpreted Miss Cat when she said "payment as arranged with the spirit". For some reason I was under the impression that she meant to say "afterwards", but that wasn't necessarily implied. Oh, and I hope I haven't been too much of a burden asking this many questions. It's just that I don't always have the time to post here in the forum, so my questions tend to pile up. And I suppose I could be more succinct. But I deeply appreciate this forum for repplying to my questions with such generosity, and - as invited by Miss Cat on facebook - as a practitioner, I try to answer questions to the best of my ability, and at least as many as I ask. Nothings wrong with your question I don't think. Miss Cat and some of the other mods are pretty busy sometimes. Perhaps I can shed a little light in the meantime! I don't see anything wrong with what you described above (dirt/salt/sulpher mix) or how you plan to use it. As far as payment for the spirit, I personally would pay for the dirt when I collect it, speak to them about my situation (need for protection, etc), and offer them something once the danger had passed, perhaps their favorite meal, or a particular "vice" they had that they can't enjoy now. If this is something that you plan to have on-going for a long period of time, if this particular ancestor isn't on your alter, you can offer them a permanent place of honor there as payment, or a candle in their honor ever day the protection is needed (if its something very dangerous) or perhaps weekly light setting for less serious situations. Miss Cat said essentially the same when she mentioned "payment as arranged with the spirit"
You may want to check out - http://www.luckymojo.com/hoodooshrinesandaltars.html - Hoodoo Shrines and Altars by Phoenix LeFae. Fantastic book with ancestor altars and more! Just some ideas! Hope that helps, and good luck! Thank you so much for providing me with such a thorough answer! I loved it, some great imputs. That was very thoughtful of you, thank you!